The major labels in America were always pretty much clueless. When Nirvana broke big somewhat inexplicably, they signed anything vaguely grunge. And in the wake of "Wonderwall", any Brit -- or in this case, Welsh -- band with guitars and haircuts got signed...even if the labels here had absolutely no clue of what to do with the band in question. 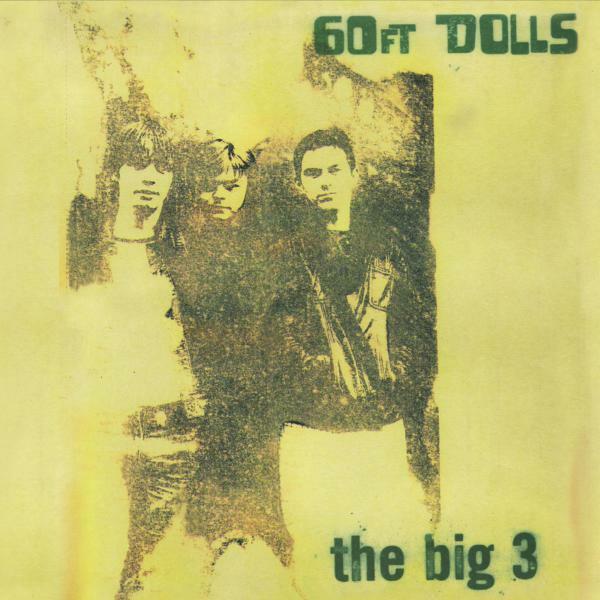 60FT Dolls burst onto the scene with the corker of an album that was The Big 3. And here, thanks to the misguided folks at Geffen in 1996, the promo of the CD was in every $1 bin in the D.C. area for years. Much like what happened with Catatonia's International Velvet a bit later, the CD must have been sent to every critic and outlet in the area only to wind up in the bins for a buck. This says more about the stupidity of Americans than it does about the quality of the band or their album. For anyone even halfway following Britpop back then, it was a masterpiece. Now reissued in superb fashion by the folks at Cherry Red and 3 Loop Music, The Big 3 (1996) is back in a deluxe edition. The album, to put it simply, sounds even better and more consistently great than it did nearly 20 years ago. The b-sides and the Peel Sessions provide further proof that 60FT Dolls -- guitarist Richard Parfitt, bassist and vocalist Mike Cole, and drummer Carl Bevan -- were one of the most exciting bands to burst out of that Britpop signing boom...even if their American label was relatively clueless about how to market these guys back then. The Big 3 reissue is spread over 2 discs with CD 1 being the original album which has been remastered to great effect. 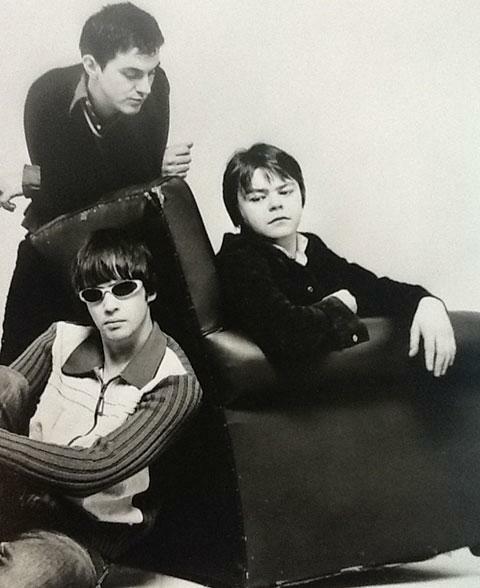 If "New Loafers" pits 60FT Dolls near the likes of early Supergrass, and "Talk to Me" bears a hint of the sort of influence of Definitely Maybe-era Oasis that was prevalent among certain acts back in 1995 or so, then "Stay with Me" remains the greatest single of the era that never quite soared up the charts the way it deserved to. Blending Weller and Rod the Mod into something instantly catchy, the cut grabs the throat and the heart with both hands. It remains, of course, "Happy Shopper" and "The One" that still assault a listener with riffage. If "Happy Shopper" is the weird love-child of Slade and Weller, then "The One" is The Only Ones updated for a new era. Insanely catchy, the tune gives me chills as a listener and fan even 2 decades after its release. The album sounds better than it ever has and if The Big 3 (1996) was previously a joyous, boisterous punch in the plexus, it's now a more nuanced, complex one. "Loser" never had this many layers before, did it? And the separation of instruments on stuff like "Hair" and "Pig Valentine" was never so sharp. The 2015 remastering shines most obviously on closer "Buzz" where Cole's rasp positively seeps through the speakers and Parfitt's guitar lines unfurl like John Squire trying his hand at pub rock. Look, it was easy to convert people to this band back in 1996 or so when you played the likes of "Pig Valentine" for them, but "Buzz" showed another side of the band that wasn't so apparent on the rest of The Big 3. And it was that expert blending of the high and low that made 60FT Dolls such an interesting proposition for a listener in the late Nineties. Still a classic. Now, what of CD 2? On CD 2 of the deluxe edition of The Big 3 we've got a bunch of flip-sides, the most notable of which are the shoulda-been-an-album track blast of "White Knuckle Ride", a cover of The Beatles ("Everybody's Got Something To Hide [Except For Me And My Monkey]"), a cover of the Small Faces ("After Glow"), and the sublime "Rosalyn" from the "Stay" single. The song, lyrical and melodic in ways that the band's earlier stuff was not, is a revelation and a hint of what this band could have accomplished if they'd progressed beyond the styles of this first record (and I'm not saying I am not a fan of Joya Magica but it was nowhere near as good as this LP). The odd "60FT Dolls vs. Pastor Ray Bevan" lets the drummer's dad relate to his parishoners a tale of his son's drunken night out and the capacity of a father's love. It's funny and touching and hearing the Welsh minister's "sermon" brought a tear to this Taff's eye...even if I'm at least 4 generations removed from Wales. The 5 tracks from the band's 1996 Peel Session collected here reveal a supremely assured live band. In fact, I'd go so far as to say that "Streamlined" works better here in this setting than it does on the album. What almost derails the momentum of The Big 3 brings out varied aspects of the band's sound here in this version. Similarly, "Stay" and "New Loafers" roar with even more life than they do on the album itself. The Big 3 remains a masterpiece. This new 2-CD edition from Cherry Red and 3 Loop Music solidifies the band's place in the rock history books. Sounding significantly better than 90% of their peers from the Class of 1995, 60FT Dolls are the argument to those who dismissed that wave of UK acts as a mere musical phase. Supremely more than just a Britpop act, 60FT Dolls were simply a great band who never got their due, despite being signed to a big label in America. Neglected a bit over time, this reissue should get the band the respect they've always had among certain quarters of rock fans from larger swathes of listeners. "Of course, the one that you're looking for is me!" For a good retrospective on the band, read David Owen's piece on 60FT Dolls here.